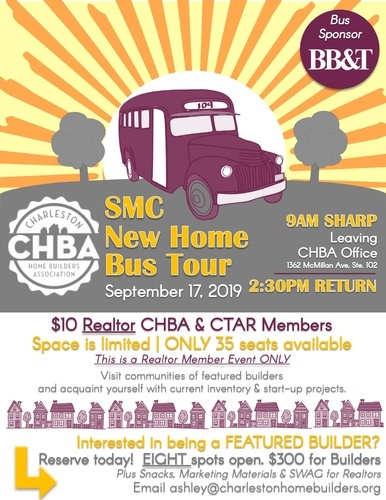 Visit Communities of featured builders in North Charleston, Goose Creek & Hanahan, and acquaint yourself with current inventory & start-up projects. Interested in being a featured builder in this area? Only $300! Plus provide snacks, marketing materials and SWAG for the realtors when they visit your home. Bus leaves CHBA Office at 9am SHARP!